As I settle into my seat at the coffee shop where I’m meeting Sarah, the creator of AESARA Organic Skincare, I am struck by glow. Sarah’s skin is radiant and reflects a healthy, luminous light that just invites you in. I’m so excited to get to know her. Fast forward to 2002, Sarah decided to study registered massage therapy. Working with late stage cancer patients at Princess Margaret Lodge, Sarah noticed how well her patients’ skin responded to the high-grade natural botanicals and oils she used. There were no reactions, no irritations. So Sarah began to look into the medical research behind these ingredients and the benefits they could have for skin. 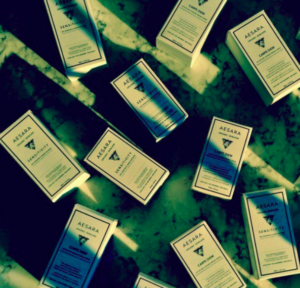 Sarah’s mission began with sourcing the absolute best, highest quality products. Drawing on her extensive experience with natural beauty, Sarah began to dig into the research. She knew quality products started with quality ingredients. So that meant starting with organic products-or as organic as she could get them. Says Sarah, “Not every botanical can be sourced at 100% certified organic. Hazelnut oil is very difficult to get certified organic, even though the process is practically certified organic anyway.” But Sarah can say with absolute confidence her product contain 95%-97% organic ingredients. I asked why it was so important for the ingredients to be organic. According to Sarah, “When you think of an ingredient from nature, it really begins with the soil. When a plant is in a chemical based soil, they’re sucking up all the chemicals, so it might be a product made with ‘natural’ ingredients, but if they’re not organic, they still contain chemicals. 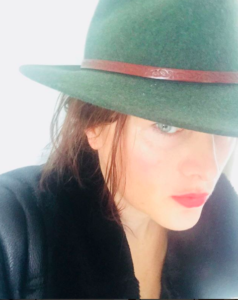 It’s going to have an effect on your skin.” Normally, we consumers experience such a distance from the sourcing of our beauty products, so I hadn’t thought about the soil my botanicals were grown in until I met Sarah! 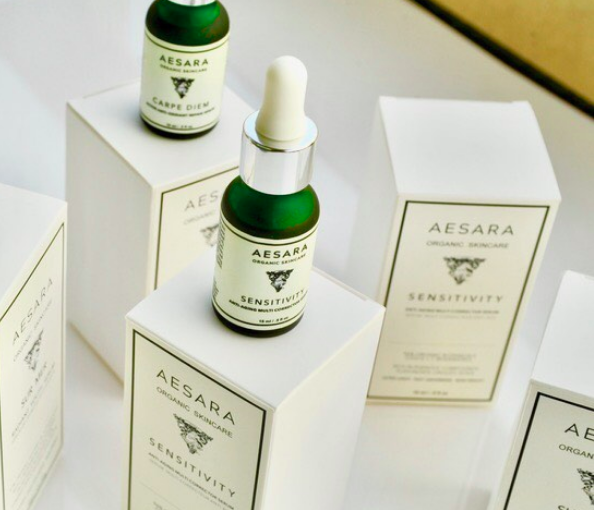 AESARA’s product line currently has four serums. Each one has involved such an extraordinary amount of research that Sarah’s mantra is to be slow and steady with building her product line. Sarah is almost ready to launch two more products, an exfoliant and a cleanser. 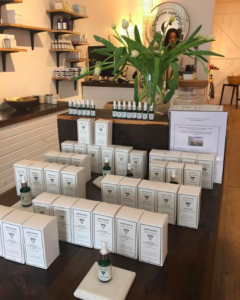 Her products can be purchased online, or at The Cure Apothecary, situated at 719 Queen Street West.